Code to add org hyperlinks to customize windows. My org-mode templates – part one. Any interest in more? 3,500 note files, 40 MB of plain text, 100s of tags. Will Org mode work for me? Having flyspell + hunspell issues? Read here - FINALLY got flyspell working properly with hunspell backend! 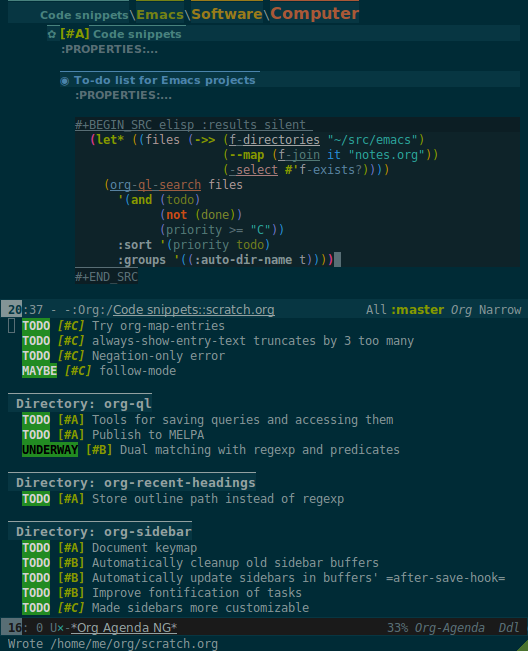 Organize your hard drive with Emacs?